Richard Wagamese died on Mar. 10, 2017. (Image courtesy of Ontario Heritage Trust). The Ojibway author, from Kamloops B.C, was known for his writing, which focused largely on Indigenous characters and themes. I found out while absently scrolling through Twitter. I was going to click on a link with Wagamese’s photo attached to it when I realized what the article was about. It wasn’t a new conversation with him or a review of his latest book. He had died. Losing Wagamese is a national tragedy. His writing was important to Canadian literature. He turned difficult history into poignant narrative in both fiction and non-fiction forms. A good example of this is his novel Indian Horse, which was a finalist for Canada Reads 2013. According to his website, he was also a radio and television broadcaster and documentary producer. He won multiple awards for his work. Listening to someone tell tough stories both graciously and truthfully gives unspoken permission for others to do the same. There is freedom in this, both personally and collectively. 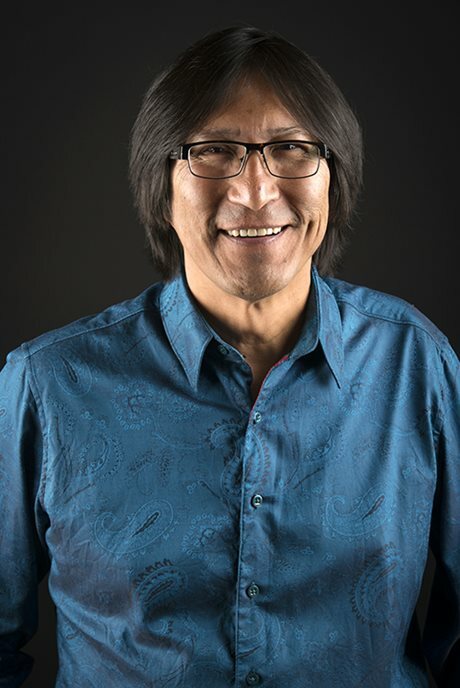 The flood of tributes that have sprung up in the wake of his death reveals that Wagamese’s writing offered this kind of freedom for an incredible number of people. This is why I like his writing so much: it is wise. It is wise because it comes from a place of raw pain that has been acknowledged and worked through thoughtfully. He was open about his own troubled past in both his writing and interviews. According to the Quill and Quire, he didn’t attend a residential school himself but, since his parents and extended family did, damage reverberated through his life as well. He was taken into foster care at a young age and experienced abuse at the hands of his adoptive family. He struggled with alcohol abuse, became homeless after running away from his family and, later in life, he became estranged from his two sons. These difficult themes often show up in his writing. Rather than bitterness, they are treated with a perspective of growth and learning through the lens of storytelling. On his Facebook page, Wagamese often posted short meditations. Streaming through the noise of social media, I always stopped to read his posts. They were pithy and refreshing: like a haven waiting patiently in the din. They forced you to slow down and think. Even though life swirls around there is something more important and real underneath it all. Wagamese was that second person.